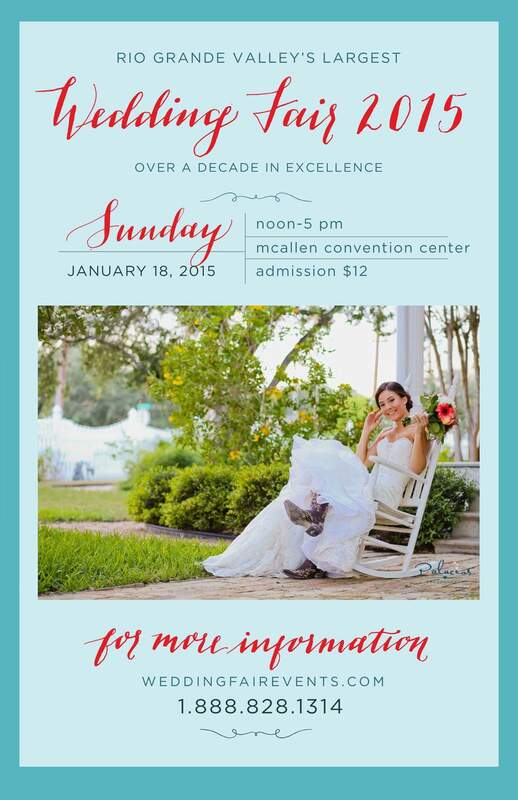 Come visit us at the Rio Grande Valley Wedding Fair on Sunday January 22 inside the McAllen Convention Center from Noon to 5pm. We will have cake samples and will be available to answer your cake and pastry table questions. Save your date and receive 25% off your Wedding Cake when you leave a $500 down payment! special applies to wedding cake and basic grooms cakes/ kitchen cakes only. 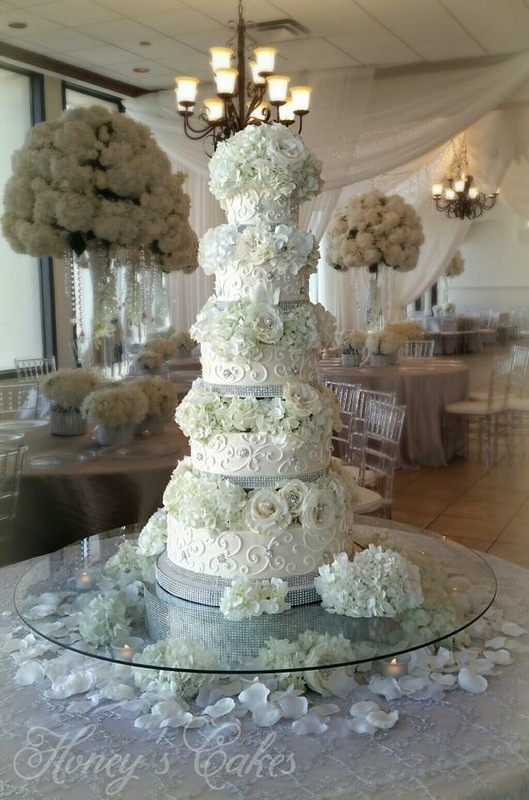 discount does not apply towards pastry and dessert tables, custom grooms cakes, delivery/setup fee, rentals fees, cake toppers, fresh/sugar flowers, etc…. minimum pre-discount purchase of $675 required. Can’t make it to the Wedding Fair?? Our annual sale will run until January 28, 2017. Annual Wedding Cake Sale This Sunday! It’s time to start planning your dream wedding! 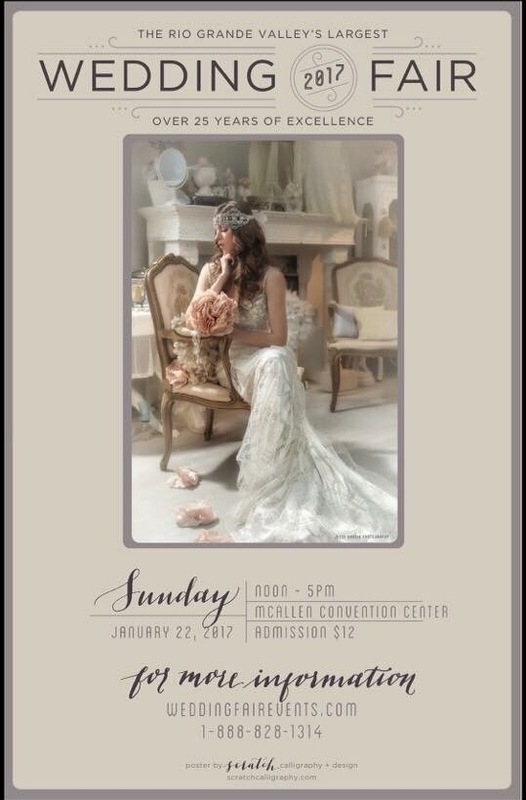 We will be having our Annual Sale at the Wedding Fair this Sunday at the McAllen Convention Center from Noon to 5 pm with 2 great offers! 1) $500 down gets you 25% off your Wedding cake! 2) We will match $100 down with $100 in Wedding Bucks towards the purchase of your Wedding cake. Announcing a very special Wedding cake offer! 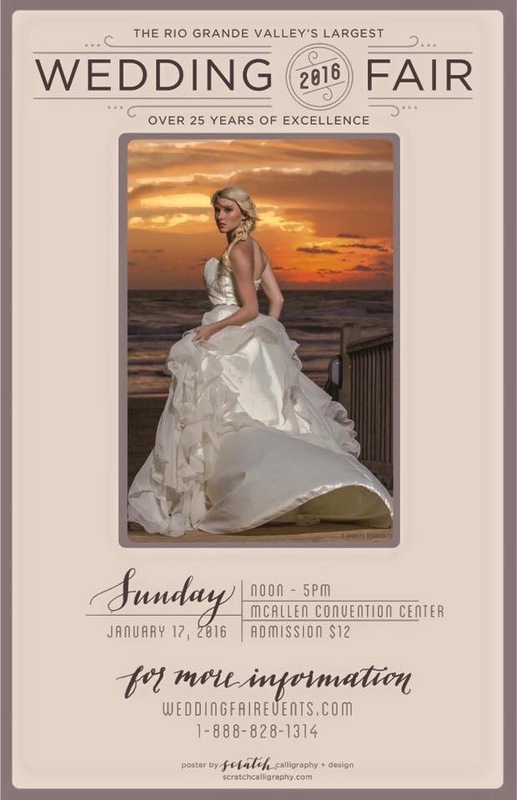 Visit us at this Sunday’s fantastic Wedding Fair Event and reserve your Wedding or Quinceanera cake with a $500 nonrefundable/nontransferable deposit and receive 25% off your wedding cake price!